In what is undoubtedly the strangest piece of news you'll hear this week, a burger which was sent into space by a Sheffield-based YouTube star somehow made its way back to Earth unscathed, landing in Colchester United's Florence Park training complex on Wednesday afternoon. 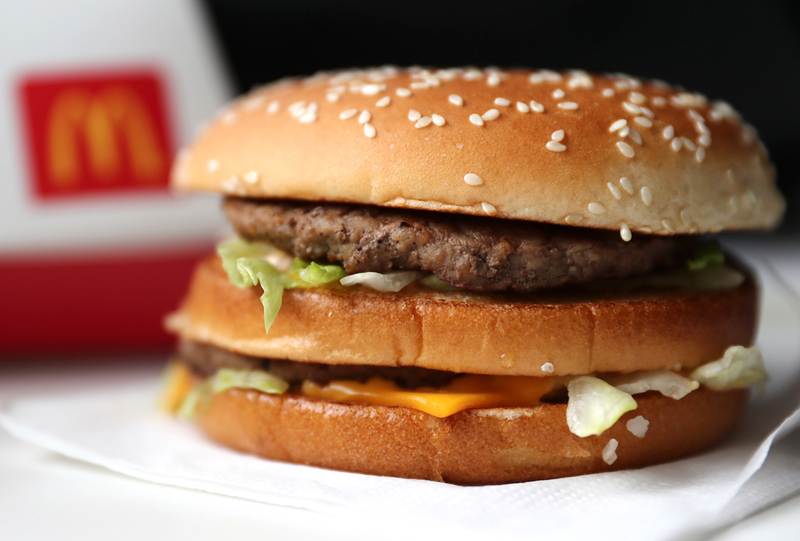 What started out as a completely normal day of training for the League Two outfit, who travel to Cambridge United this Saturday, took an extremely bizarre turn when the team stumbled across a Big Mac burger laying on the ground in front of them. The burger wasn't on its own however, oh no. The famous McDonald's snack was actually attached to a polystyrene box alongside a GoPro, because it had, in fact, fallen from out of space. In one of the most interesting threads you'll see on Twitter this year, the Essex-based club tweeted the entire story and how it all unfolded. When the club secretary phones the media department, it's normally something interesting - transfer news, contracts being signed, that sort of thing. "When the club secretary phones the media department, it's normally something interesting - transfer news, contracts being signed, that sort of thing. But this time? There was a burger that had been found at the training ground," tweeted the club. "The chap on the phone explained that the box, burger and Go Pro camera was his, he was from Sheffield, and he'd sent the burger into space. As you do. And he was coming to get it back!" - Colchester United's official Twitter. The man in question was Tom Stanniland - a YouTuber who'd sent the burger into space to entertain his 2.7 million followers. "I sent a burger into space using a weather balloon. It's gone about 24 miles up before the weather balloon popped. It's come back down over 100 miles away and landed right here," he said in a video to his fans. "We had a tracker in the styrofoam box and we lost connection with it when it got so high. It's crashed landed here." Stanniland added: "In the morning the groundskeeper found the box, turned it upside down and the tracker got a connection again. So we've found it, and just followed it." Travelling almost 200 miles from his home in South Yorkshire to Colchester, Tom arrived at the U's training base at around 4pm to retrieve his space burger. What did he do when he was reunited with the snack? Well not wanting to see good food go to waste, he ate it. It appears space travel didn't treat the Big Mac too kindly however, as Tom revealed it was extremely dry, who'd have thought it. "It's not nice! It's drying my mouth out," he said. And what do you do with a burger that's been in space? Well you have to try it, right? As for Colchester, their focus now turns to Saturday's clash against strugglers Cambridge United. John McGreal's men currently sit ninth in League Two, just four points outside of the playoffs. Having lost their last three games, the Essex side take little momentum into this weekend's clash at the Abbey Stadium - maybe a bite of an extraterrestrial burger might help..